Companies are turning to emerging technologies such as cloud computing and virtualization to effectively connect, communicate, and expand globally. Despite the evolution of technology, some companies are still stuck in the past and are utilizing legacy networking strategies and complex infrastructures that are costly, sacrifice network performance, and inhibit growth. 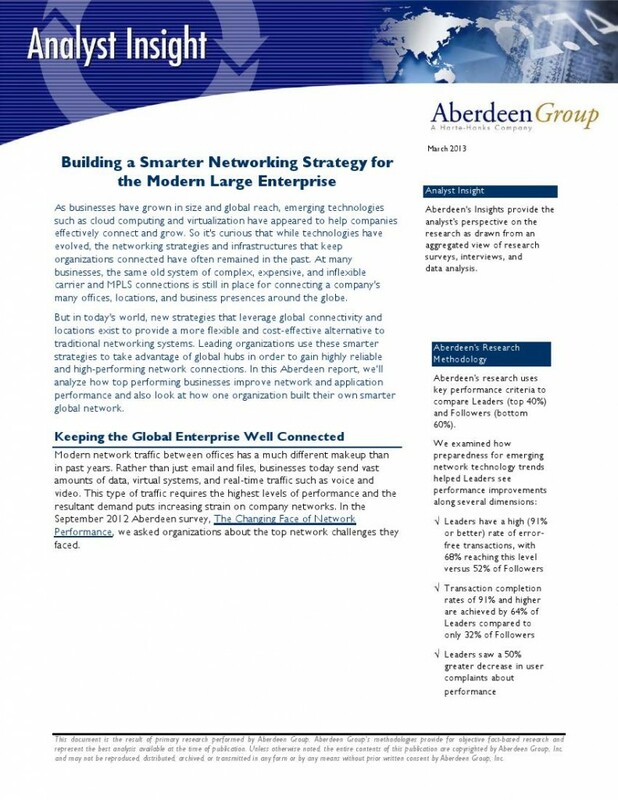 Learn how top-performing businesses are utilizing smarter networking strategies to leverage a more flexible and cost-effective networking strategy. Gain insight on how these smarter strategies can help your company grow, reduce costs, and improve application performance to significantly improve network performance.